5 Dinosaurs still alive today: From a Frilled shark with 300 teeth, to a colossal 18 ft sturgeon. This is a list of 5 Dinosaurs still alive today. Frilled sharks were alive during the Cretaceous period which started around 145 million years ago, and can still be found today. The frilled shark has 300 razor sharp teeth, and It can grow to two metres in length. Because of it’s snake like appearance it has often been mistaken for mythical sea serpents. They feed mostly on squid, and live in the deep reaches of the ocean. It is rare for humans to ever encounter a frilled shark, but it has occasionally been caught by fishermen. The oldest fossil found of this species is from 300 million years ago, this was the Triassic era. The hag fish was alive millions of years before the dinosaurs, and for millions of years after they died. The hag fish’s ability to survive appears to be insurmountable. According to it’s fossil the hag fish have barely changed, since it was around so long ago. The hag fish is one of the most bizarre animals you’ll ever read about, it has a skull, but no spine, two brains, near blindness, and it excretes a slimey substance to damage the gills of other fish. This fish has almost no predators today, which isn’t surprising since whatever killed the dinosaurs failed to kill this one. The Coelacanth were thought to have gone extinct with the dinosaurs, but were recently discovered in south Africa, and since then more have been discovered. Although it survived mass extinction, it did so only barely, and is now critically endangered. Coelacanths can grow up to two metres long, and feed on smaller fish, and sharks. They have been alive for over 400 million years. The Coelacanth uses electroreception to sense electric fields, and avoid them. Sturgeon are the biggest Dinosaur on this list, measuring six metres in length, almost 20 feet long. Sturgeon have been referred to as the leviathans of freshwater fish because of their colossal size and weight, some weigh up to 4,400 lb. 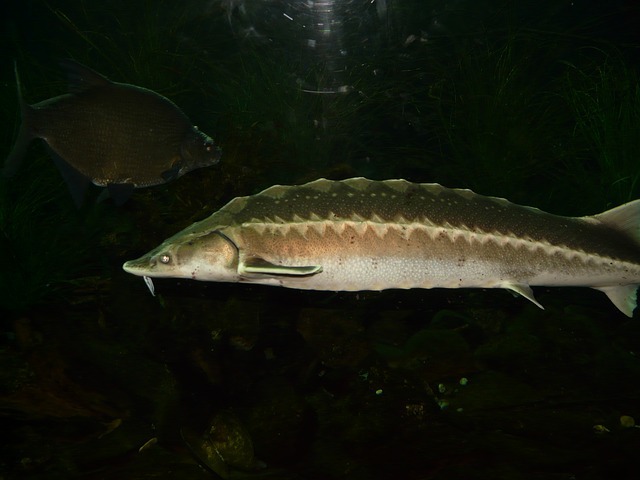 Sturgeon also have exceptional life spans, some living up to 100 years of age. Sturgeon are covered in bony plates often confused for scales. The sturgeon were around in the early Jurassic years, when dinosaurs started to gain dominance of the world. Sturgeon don’t attack humans unless you annoy them, but they have been known to occasionally jump out of the water and destroy fishermen’s boats. Due to the recent discovery of Archaeopteryx the Paleontology has been completely turned on it’s head. 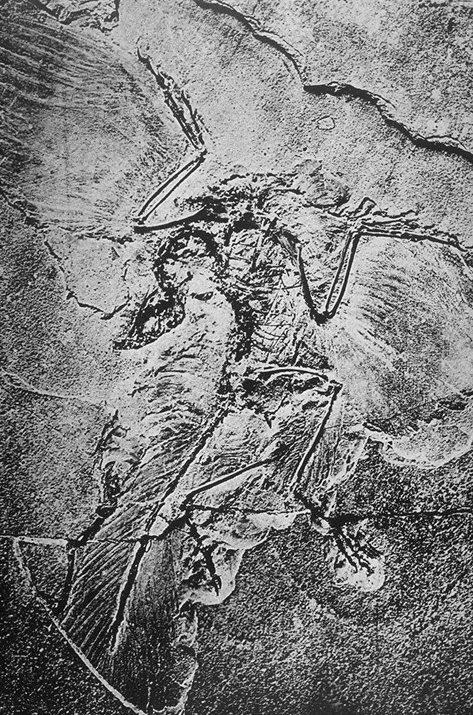 In 1861 a fossil was discovered of a creature that appeared to be half dinosaur; half bird. This was a huge piece of evidence towards the idea that some dinosaurs survived the mass extinction, that modern day birds descended from dinosaurs, and also supports the Darwin’s theory of evolution. Dinosauric birds could have successfully evaded natural disasters such as earthquakes and volcanic eruptions though flight, and their feathers can be used to regulate their body heat, helping to survive extreme weather. Modern day birds are undeniably similar. Some Paleontologists have said that if we found a fossil of a chicken it could easily be classified as a dinosaur. There are over 10, 000 species of bird around today, it is the largest species of vertebrae around today, which makes sense since they have been around since the Mesozoic times. 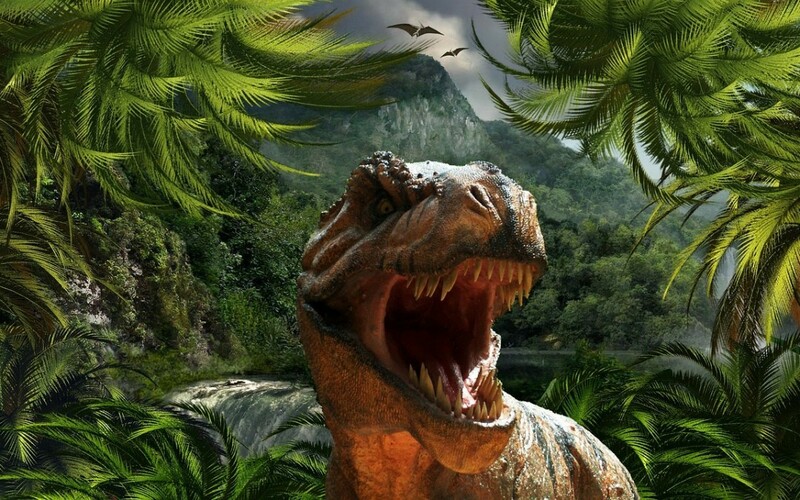 It is also now believed that all dinosaurs may have been covered in feathers.